With Data Privacy Day upon us, our friends at Computer Service Now offered some great advice about how to keep your data secure and protect your identity online. While we believe that all businesses and individuals should implement these tips, if your business wants to get serious about cybersecurity in 2019, you need to start thinking about how secure your server room really is. All the cybersecurity in the world can’t protect you from a malicious actor who has physical access to your server equipment and network infrastructure. Installing a surveillance system with access control at all entrances and exits from your security room (as well as inside), lets you control access to the room as well as offering a visual record of who entered the room and what they did there. Learn more about security cameras with access control systems offer the best way for you to protect your company’s vital data. You’ve set up a dedicated server room with a locked door and think your network is secure – think again. Traditional locks pose little deterrent to potential data thieves, especially if the door to your server room is unmonitored by security cameras. Access control systems that are monitored by surveillance cameras offer you a complete log of who has accessed your server room, at what time, and for how long. 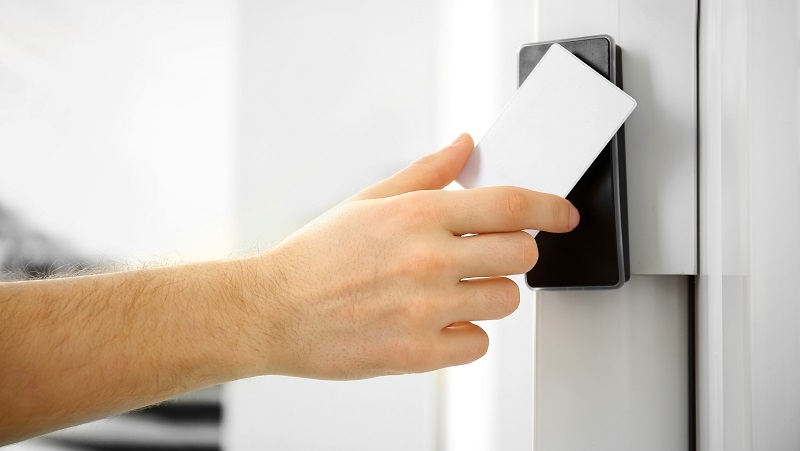 Access control systems use a variety of methods to limit who can enter your server room, including key cards, voice readers, code entry, and facial recognition, among others. You have full control over who has access to your server room, even being able to limit access to specific times of the day. If your company runs multiple shifts, this can be especially vital. By selecting an integrated security camera system with access control, we can help you track the comings and goings of employees into and out of your server room. Your security cameras can be set up to begin recording 24/7, during all business hours, or only when someone requests access to the room by scanning their keycard, entering a code, or any other access method you choose. By exercising greater control over recording preferences, you are better able to regulate the amount of storage you need for surveillance video. You can even use security cameras for biometric or facial recognition access control. While this technology is improving and has great potential for application in access control, there are still some bugs that need to be worked out. Currently, many facial recognition systems can be tripped up by changes to hair color, eyeglasses, or uneven lighting. 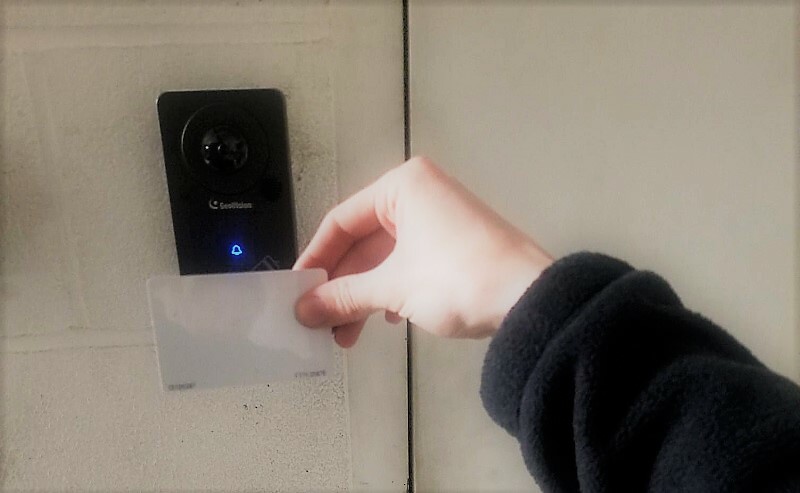 If you choose to go with facial recognition access control options, you may want to implement a backup access option such as a key card or code entry until the technology is perfected. Ensuring the safety of your data is crucial to the success of your business. Server rooms secured by surveillance camera systems with access control provide an extra layer of protection for your business’ critical information, halting strangers in their tracks and preventing disgruntled employees from slipping in undetected. When it comes to keeping your data secure, our professionals are here for you. Camera Security Now’s experts deliver the camera solutions that your company needs while keeping you on budget and ensuring the security of your business, employees, and customers. To find out how easy it is to ensure the safety of your workplace, request a quote today.